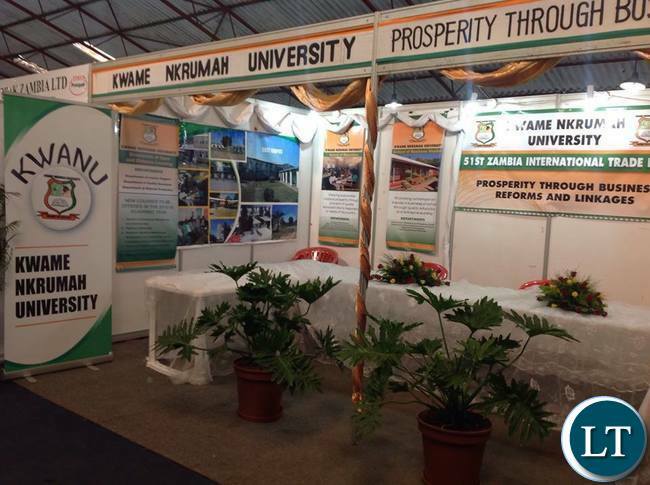 Newly established public , Kwame Nkrumah University of Kabwe, yesterday held its first ever graduation ceremony held under the theme: ‘fostering national development through quality education’. Two thousand two hundred seventy (2270) undergraduate students graduated from the institution of whom 1,232 were females and 1,038 were males, representing a pass rate87 per cent. Speaking at the ceremony, deputy Minister of Education, Science, Vocational Training and Early Education Sydney Mushanga said government was aware of the many challenges the institution was facing as an emerging public institution. Mr. Mushanga, who was the guest of honour, has however assured management of Nkrumah University of government’s support. “We are making frantic efforts to give you all the necessary support so that you can continue to move forward and record more success,” he said. He thanked the university council, management, lecturers and support staff at the institution for their commitment to duty. Mr. Mushanga congratulated the graduating students but was quick to remind them of their role in the education sector. He appealed to the graduates not to be satisfied with their paper credentials adding that performance was more important in the teaching profession. The Deputy minister , who is also Bwacha constituency Member of Parliament urged the graduates not to shun serving in rural areas adding that children in remote areas were the most vulnerable of education services saying the country needs a number of qualified teachers to lead to high pupil performance in schools. Acting Vice Chancellor Rachel Kabeta praised government’s efforts of expanding space and enrolment in secondary schools. Mrs Kabeta said the substantial upgrading of basic schools and construction of secondary schools across the country required more recruitment of teachers. Thanks. Can you show us the buildings of the university outside please? Kwameh Nkurumah was a dictator be not deceived. As knowledge increases, I see that Jesus shall always be our one true leader.